Unlike lakes, rivers are not static. They are constantly changing in volume, water temperature, and, in the case of coastal rivers, even direction as the tides rise and fall. Fishing. One of the primary attractions of Maine’s rivers and streams, beyond their sheer beauty, is fishing. They offer a much greater diversity of fish species than lakes or ponds, including migrating salt water fish in many of the coastal rivers. River fishing, because of its changeability, is also a much more challenging undertaking. Maine’s many estuaries, where fresh and salt water come together, provide very important ecosystems for marine life, including soft-shelled clams and an amazing variety of shorebirds. 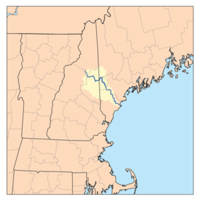 From southwest to northeast, the tidal range can be from 9 up to 26 vertical feet. So what appears to be an exquisite little cove at high tide can turn into a barren mudflat at low tide. Paddling. 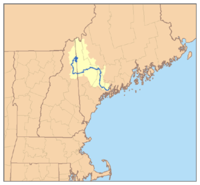 Maine boasts almost unlimited paddling opportunities. Canoeists and kayakers can roam from southern Maine to the coast to the northwoods and never be hard up for a place to put in. Maine’s waterways are how the region’s first peoples got around, and it was an epic 325-mile canoe trip in 1857 that won over Maine’s first great tourism promoter—one Henry David Thoreau. He had a Wabanaki guide; you can hook up with a scout of your own via the Maine Professional Guides Association at maineguides.org. White Water Rafting in Maine is an adventure and an experience you will never forget. Anyone with an appetite for the outdoors will enjoy a rafting trip in Maine. 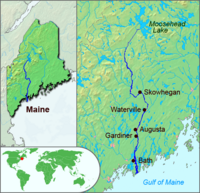 In fact, Maine is known all over for its plentiful dam released water, breathtaking scenery along your raft trip and great Maine guides. While some may be hesitant to the idea of white water rafting, it’s an activity for a wide range of ages as young as 8 and as seasoned as 75 years old, with very little physical fitness requirements and no prior experience rafting necessary. It’s the ultimate theme park ride brought to you, compliments of Mother Nature and your adventuresome outfitter guides. 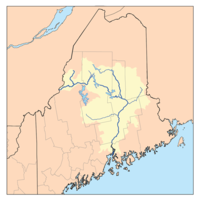 This is a partial list of rivers in Maine. It is organized by tributary structure, from north to south along the coast. 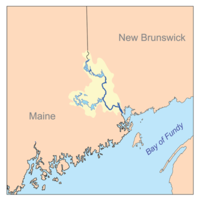 (courtesy of Wikipedia, the free encyclopedia) Click on the name of any River for complete information and data.